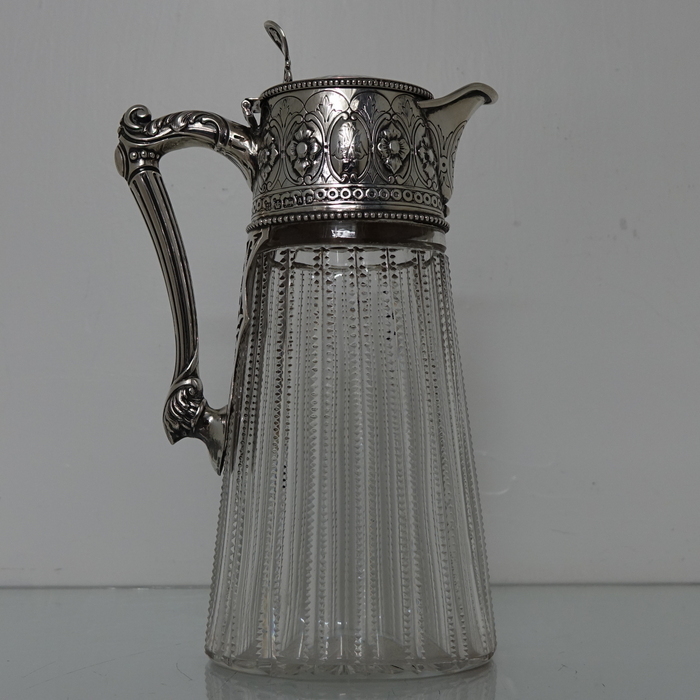 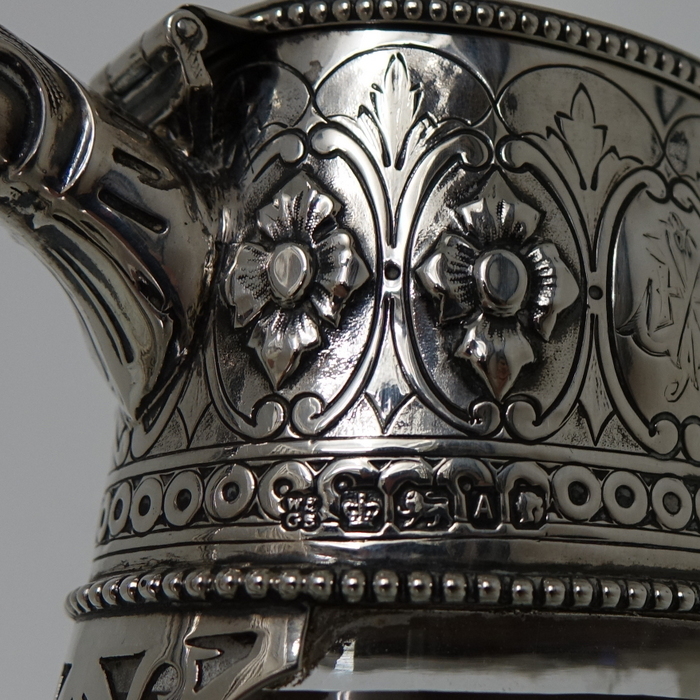 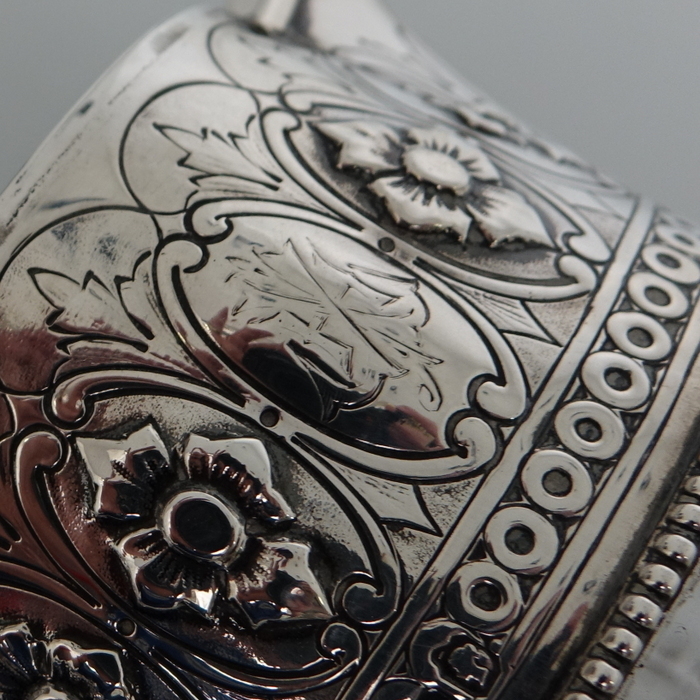 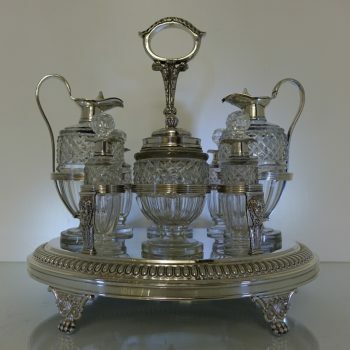 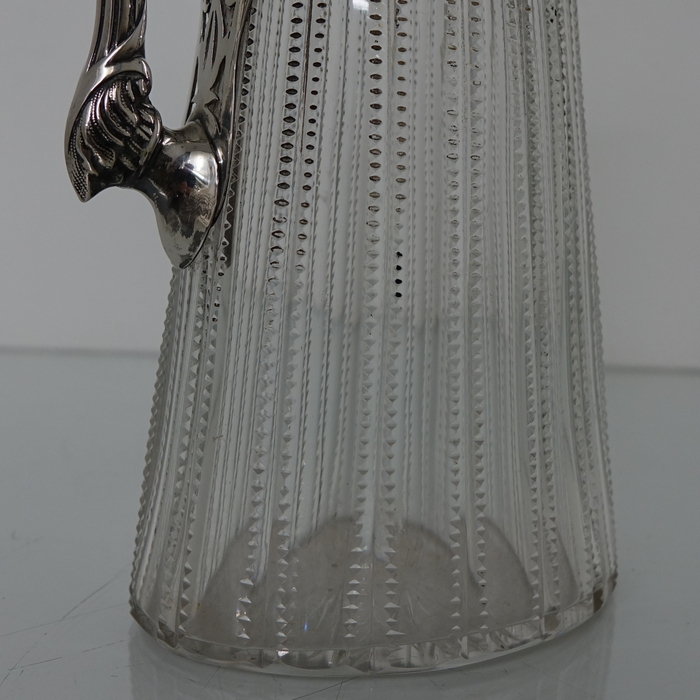 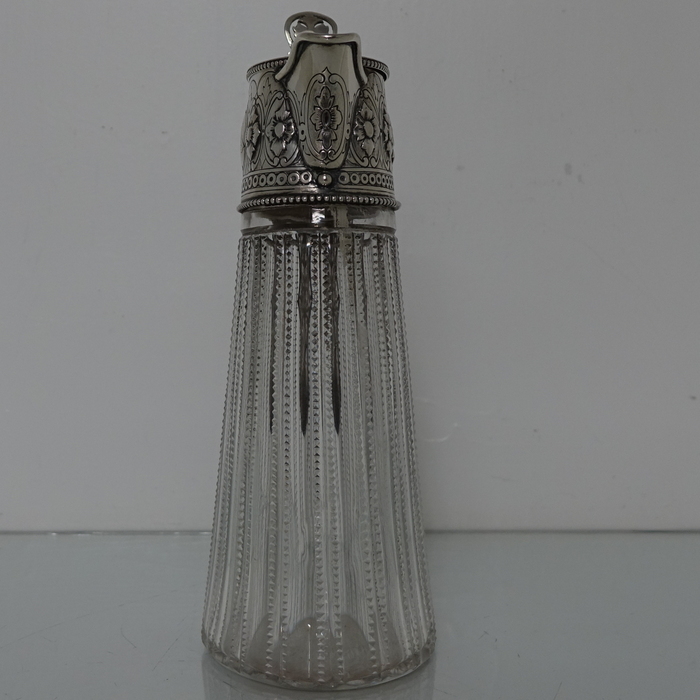 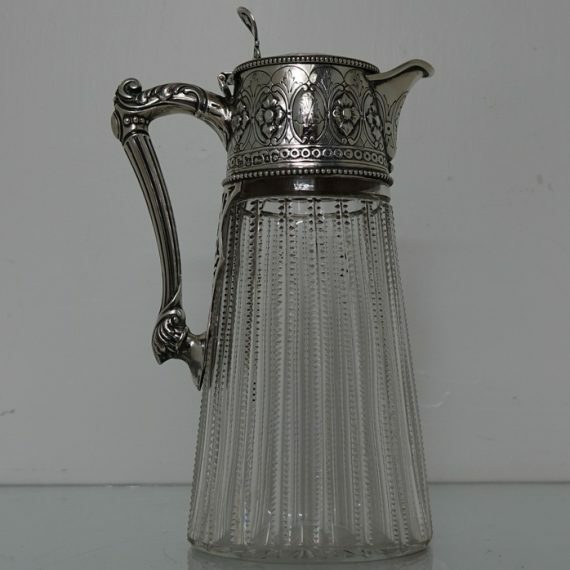 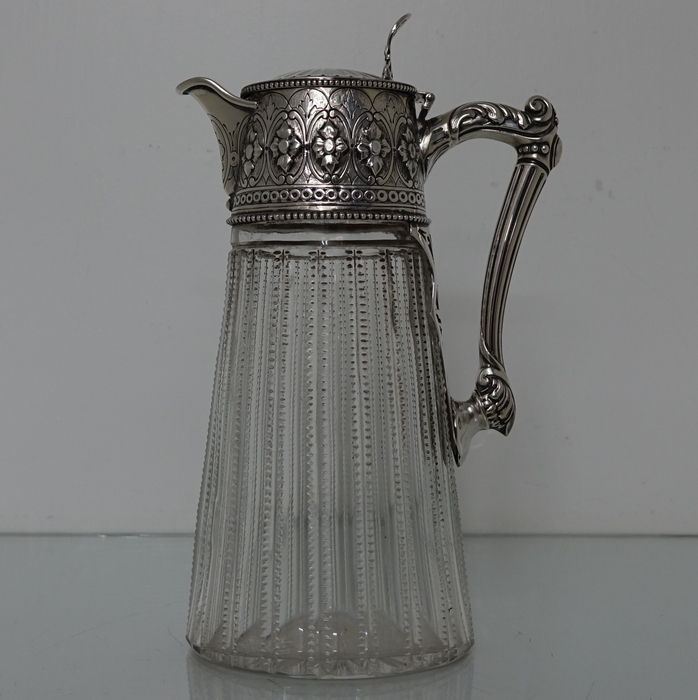 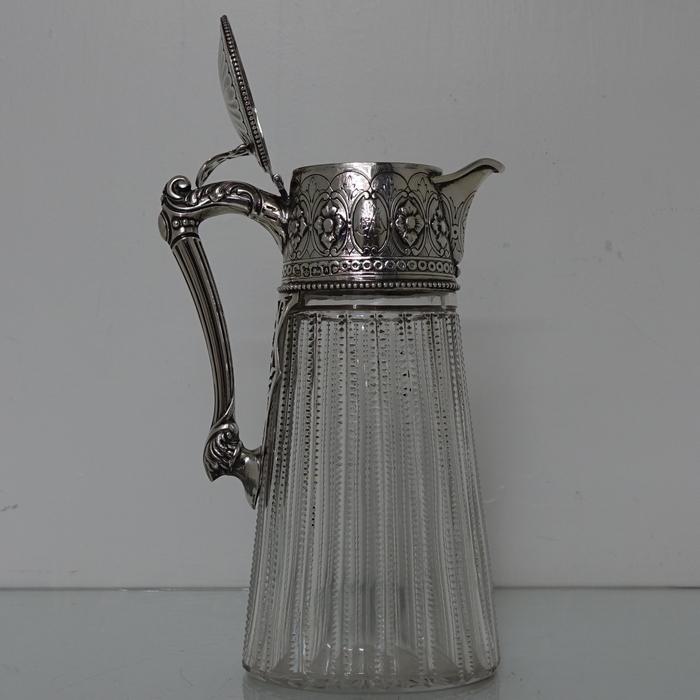 A very beautiful oval formed silver and crystal claret jug, elegantly embossed with a upper and lower bead border for highlights. 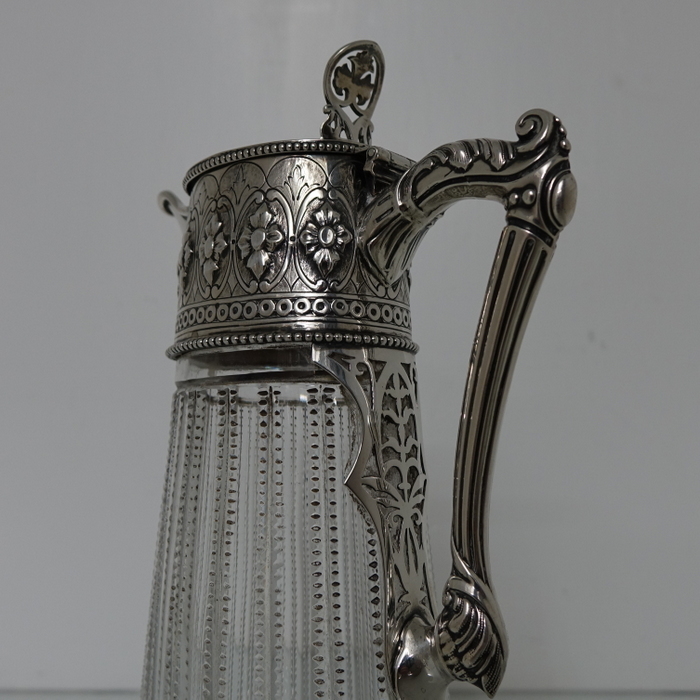 A very beautiful oval formed silver and crystal claret jug, elegantly embossed with a upper and lower bead border for highlights. 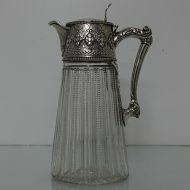 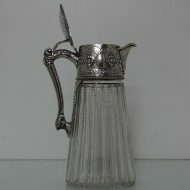 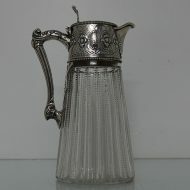 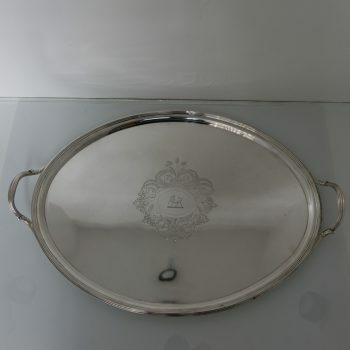 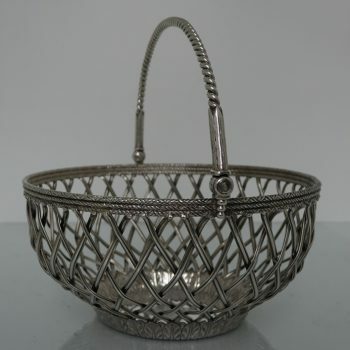 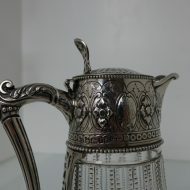 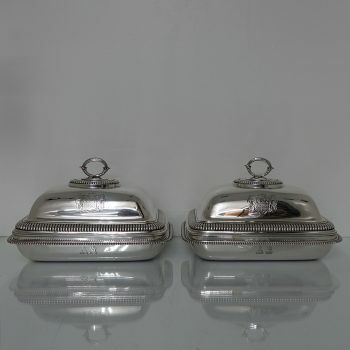 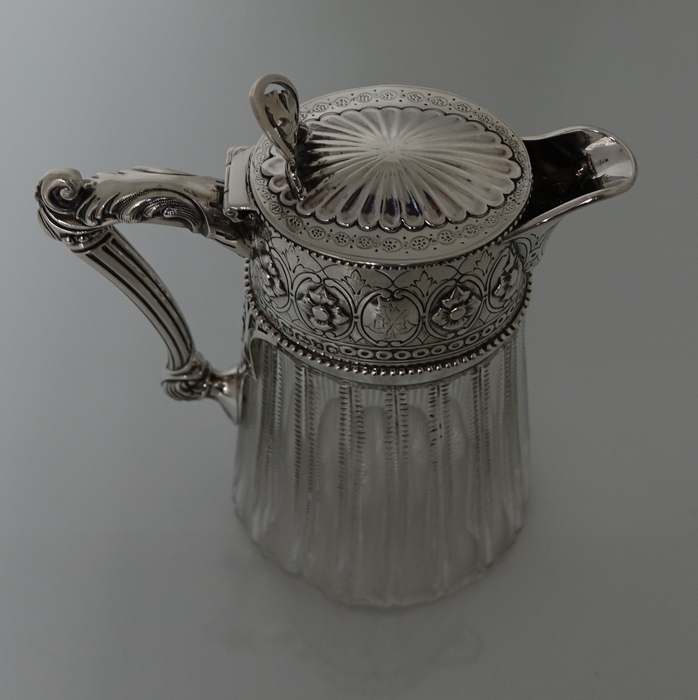 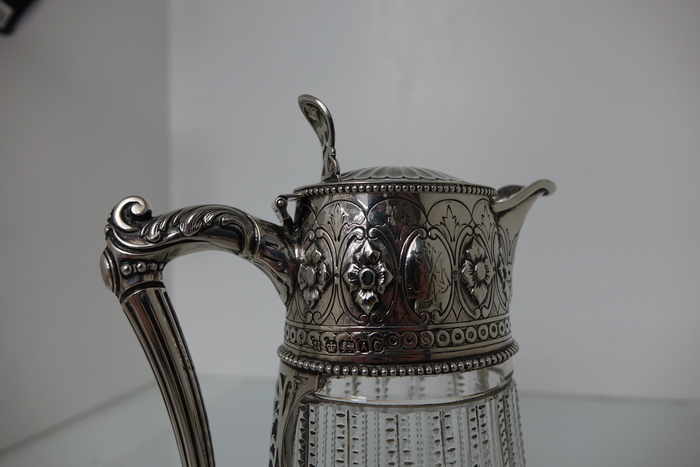 The lid of the jug is hinged and is crowned with an elegant thumb piece. 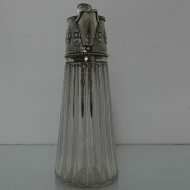 The crystal body is stylishly fluted in design with pin prick engraving for lowlights. 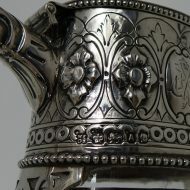 There is a script initial for importance.